What Is Causing Your Tremor? If anyone looks closely enough at their outstretched hand, they will see a barely noticeable tremor. If someone is fatigued or has had too much caffeine, this tremor might be more noticeable – but it usually doesn’t interfere with their day-to-day life. Other people have a tremor that is truly debilitating. For example, someone may not be able to eat because their tremor makes it too difficult to get a utensil or cup into their mouth. Even in cases where a tremor is really noticeable and problematic, it may not be caused by a serious illness. Other people may have a less noticeable tremor that is caused by a disorder like Parkinson’s disease. How can neurologists tell when a tremor is something to be concerned about? Tremor is the most common type of involuntary movement and can affect just about any part of the body. Tremors seem to occur mostly in the hands but can also involve the legs, chin, or head. Even the voice can be affected by tremors. It’s helpful to notice if one side of the body is more affected by the tremor than another (asymmetry). While there are exceptions to every rule, most tremors involve both sides equally. In Parkinson’s disease, one side is usually affected more than another. Resting tremor: This type of tremor occurs when a muscle is relaxed. This is the kind of tremor most often associated with Parkinson’s disease. Action tremor: This tremor occurs when the muscle is tensed in some way. This is a big category and is further divided into the rest of the categories mentioned below. Postural tremor: This tremor worsens when the body part is held out against gravity. This is seen in essential tremor, a common disorder that is annoying but not life-threatening. Kinetic tremor: This is a tremor that worsens whenever a body part is moved. Intention tremor: This type of tremor could be considered a type of kinetic tremor since it involves the body part moving, but it really means something more specific. Intention tremor worsens when you are moving toward a specific target, which takes a degree of coordination. An intention tremor will worsen just as your finger approaches its target. Task–specific tremors: These only occur when performing a particular job, such as writing. These can result from dystonia. Isometric tremor: This tremor involves shaking when a muscle is tensed but not moving. If you’ve held a position like a push-up for a long time, you have likely experienced this tremor. Some degree of tremor is normal for everyone. Sometimes something can go wrong with parts of the brain involved with movement, such as the basal ganglia or the cerebellum. Tremors can be caused by diseases like multiple sclerosis, stroke, and neurodegenerative problems like Parkinson’s disease. It can also be caused by drugs like alcohol, amphetamine, and steroids. Problems that affect the entire body, such as thyroid disease or liver failure, can cause tremors as well. Interestingly, no one really knows why people develop essential tremors, although it seems to be inherited and is very common. It may seem obvious, but many people don’t immediately recognize that their tremor may always occur after taking a certain medication, when they’ve had too much caffeine, or when they haven’t eaten for a while. Worsened emotional or physical stress frequently make tremors worse as well. In orthostatic tremor, the shaking always starts after standing up. It’s also helpful to notice what makes a tremor better. For example, essential tremor is a very common cause of tremor that, for unknown reasons, often improves when the patient has had something alcoholic to drink. Orthostatic tremor improves after sitting down. In addition to a physical exam to look for other findings that suggest a cause of the tremor, the doctor may order blood tests to look for hormonal or chemical causes of the tremor. They may order a CT scan or MRI to see if the tremor has resulted from a disease like MS or stroke. 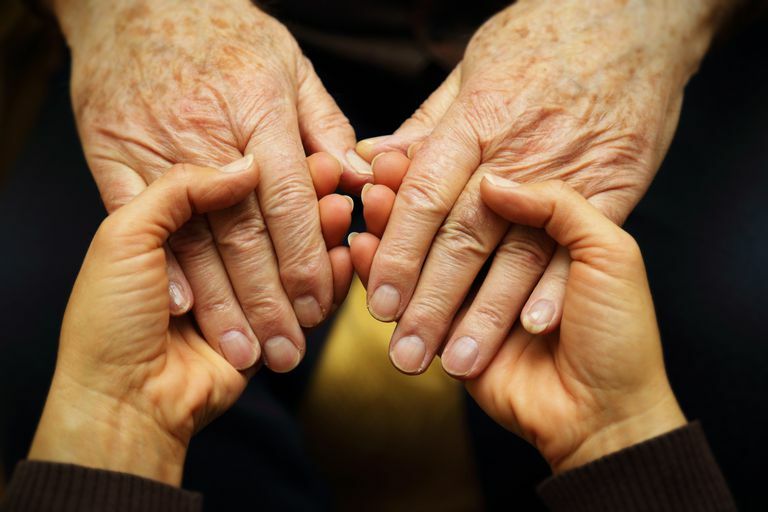 Depending on what is found, they may also order tests like an electromyogram or nerve conduction study to see if the tremor is due to a problem with the peripheral nervous system. The treatment of tremor depends on the tremor’s type and cause. Recognizing and eliminating factors that worsen the tremor is an important step. Physical therapy can help you remain as independent as possible and may also reduce the tremor. In extreme cases, surgical treatments or deep brain stimulation can be tried, although this is usually reserved for situations in which less aggressive approaches haven’t worked. Knowing what to pay attention to can help you get the answers you want about your tremor and get the help you need as soon as possible. Braunwald E, Fauci ES, et al. Harrison's Principles of Internal Medicine. 16th ed. Ropper AH, Samuels MA. Adams and Victor's Principles of Neurology, 9th ed: The McGraw-Hill Companies, Inc., 2009. What are the Types of Tremors? Reasons to Avoid Asking "What Caused Your Child's Autism?"